I thought I’d start a little feature I am calling a Cairn A Day. These are shots sent to me by friends from their various adventures. It seems a good way to share other people’s interest and observations of cairns. The first one is from my old pal Terry Knouff, who does wonderful work with Polaroid cameras. 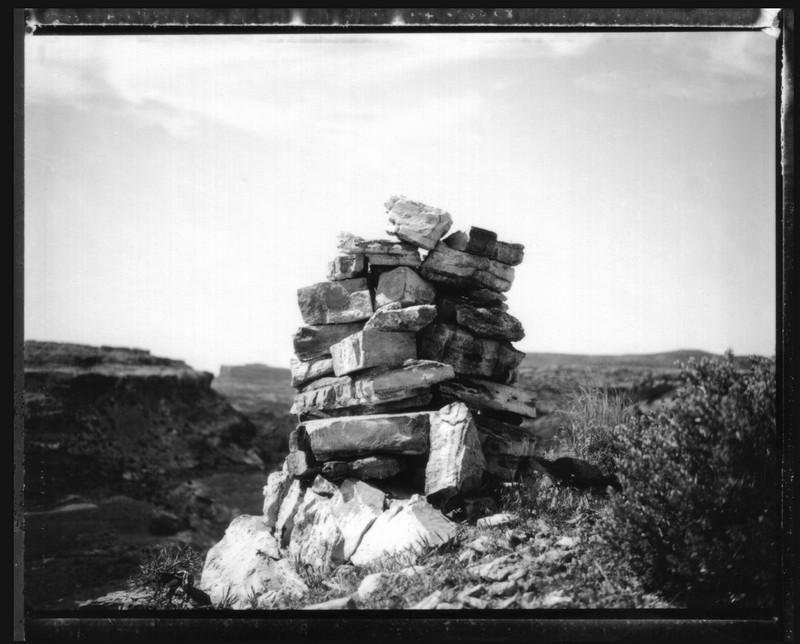 This shot is a cairn built as a marker for a uranium claim near the Moniker and Merimac Buttes, just north of Moab. It’s a wonderful illustration of how sandstone blocks allow one to build what I call a chimney cairn.